Sheikh Raed Salah, head of the Islamic Movement in Israel, yesterday warned that there have been Israeli attempts to assassinate him, Arab48 reported. Salah accused senior Israeli leaders of inciting against him, including extremist settler leaders and acting ministers in the Israeli Government. Writing on Facebook, Salah said that he was exposed to a series of aggressive acts as “a result of continuous incitement against me and many Palestinians” in Israel. He noted that an unrecognised car got close to his house, took footage of it then fled. In addition, he said that a settler entered Umm Al-Fahm, where he lives, and started to ask about his house. A friend of his, Salah said, reported that he heard his Israeli colleagues speaking about killing him or expelling him from his house. On Sunday, Katz said that he has been working to deport Salah to Lebanon or Gaza. Lieberman said that he is currently working on arresting Salah and put him under administrative detention. Palestinian resistance in Gaza would not launch rockets towards Israeli targets in retaliation for the continuous Israeli aggression on Jerusalem and Al-Aqsa Mosque, Quds Press reported political analysts saying yesterday. According to the news site, the political analyst Fayez Abu Shamala said that launching rockets from Gaza would drag Israel to respond and this would turn the eyes of the world from Jerusalem to the massacres being committed in Gaza. He noted that there is an “Islamic, Christian, national and political agreement on the importance of the battle in Jerusalem” and this would not be available regarding any battle in Gaza. “This proves that turning the battle from Jerusalem to Gaza is an Israeli goal,” he said. 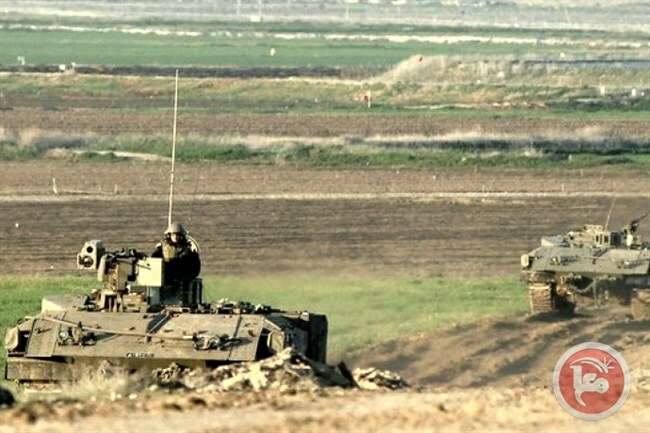 Israeli occupying forces attacked positions in the Gaza Strip with tank fire on Sunday night, according to Ma’an news agency. 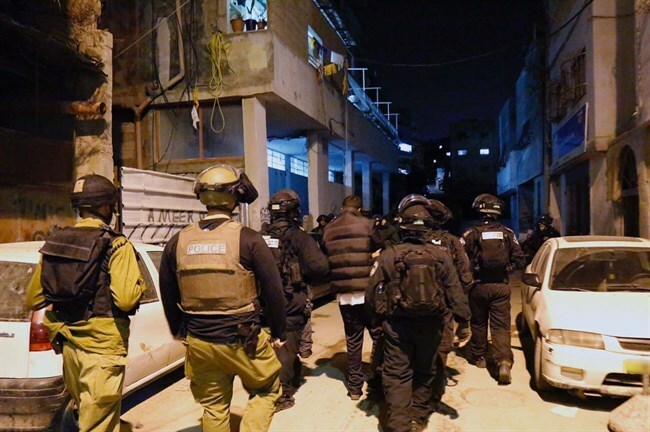 Despite the Israeli army stating they had attacked a Hamas post in the south of the Strip, locals confirmed that the tank shells landed in the residential area of Deir Al-Balah. No injuries were reported. Israel has launched numerous attacks on the besieged coastal enclave this year, injuring at least seven Palestinians and damaging the already limited electricity infrastructure. The latest attack on the Gaza Strip has been seen as an attempt by occupation forces to divert attention from the ongoing unrest in Jerusalem which has been caused by Israel’s increased security measures and Judaisation efforts at the Al-Aqsa Mosque. Palestinians have rejected Israel’s new policies which they say change the status quo at the Muslim holy site and are a step towards Israel imposing complete control on the mosque. Extremist Israeli Jewish MK from the Jewish Home party, Bezalel Smotrich, has called for building a synagogue inside the Al-Aqsa Mosque courtyard, Al-Resalah newspaper reported yesterday. The Palestinian newspaper said that the Israeli TV Channel 7 reported Smotrich saying that the best Zionist response to the Palestinian rejection to the Israeli measures at Al-Aqsa Mosque is to let them understand that they had paid a “high price” for their acts. He said that the best response would be to build a synagogue in the yards of Al-Aqsa Mosque in response to the attack on the settlement of Halamish, where three Israeli settlers were killed. “The Zionist response would largely be to make the other side understand and feel that they have lost. They must understand that they gain nothing from terrorism. They are the only ones who will lose, and this will happen on three levels,” Smotrich told Arutz Sheva. If I am the Prime Minister – this morning I would close the Temple Mount to Arab prayer and establish a Synagogue for Jews. Palestinians have been rejecting Israel’s latest security measures at Al-Aqsa Mosque which include metal detectors and advanced surveillance cameras. The metal detectors were removed late last night however more cameras were setup at the mosque. Mass protests have been held against the latest Israeli policies with occupation forces responding in a heavy handed manner. Seven Palestinians were killed in the ten days since 14 July and 1,090 were injured. The incident took place at a privately-owned building rented by the Israeli government as a residence for some of its consular employees. A second Jordanian shot and killed by the Israeli guard was identified by local sources as the owner of the building. The brutal campaign of arrests carried out by the Israeli Occupation Forces against the leaders and the members of Hamas in the West Bank is a desperate attempt to restrain the Intifada ( uprising) of our people in confronting the Israeli plots and its claimed religious war against Jerusalem and Al Aqsa Mosque. We, in Hamas, and all the Palestinian people will continue in supporting Al Intifada and the freedom fighters who are staying in the yards and at the gates of Al Aqsa Mosque to protect it. We assure that all Zionist campaigns will not succeed in breaking the will of the Palestinian youth rebellion. The policy of arrest by IOF which came after the failure of IOF to confront our people will remain us strong adherent to the path of resisting and defending our people’s rights and holy places. BETHLEHEM (Ma’an) — Amid growing tension in the occupied Palestinian territory surrounding the events at the Al-Aqsa Mosque compound in occupied East Jerusalem, with ten Palestinians and five Israelis killed in the past 11 days, Israeli forces have continued massive detention campaigns acrossthe West Bank between Monday night and early Tuesday morning.At least 27 Palestinians were detained in the raids, including the mother of the 19-year-old Palestinian who stabbed and killed three Israeli settlers on Friday, according to Palestinian and Israeli sources.Israeli raids in Palestinian towns, villages, and refugee camps are a daily occurrence in the West Bank and East Jerusalem, with a weekly average of 95 search and detention raids carried out over the course 2016, according to UN documentation. According to prisoners’ rights group Addameer, there were 6,300 Palestinians in Israeli prisons as of June.Northern West BankAn Israeli army spokesperson told Ma’an that nine Palestinians were detained from the northern West Bank districts of Jenin, Nablus, and Qalqiliya.The spokesperson said that two Palestinians were detained from the Jenin refugee camp. In the Nablus area, one Palestinian was detained from the village of Beit Eiba, one from the village of Tel, and one from the Ein Beit El Mai refugee camp.Meanwhile, three Palestinians were detained from Qalqiliya city, while another was detained form the Qalqiliya-area village of Azzun.Central West BankIn the Salfit district, the Israeli army reported detaining one Palestinian from the village of Bruqin. In the Jericho district, one Palestinian was detained from the Ein al-Sultan refugee camp.Five Palestinians were detained in the Ramallah district, with the Israeli army saying that three were detained from the village of Kobar, one from the village of Nilin, and one from Budrus.Local sources in Kobar, the hometown of 18-year-old Omar al-Abed, told Ma’an that Israeli forces detained al-Abed’s mother, Ibtisam, and seized 6,000 shekels ($1,679) from the family’s home, which is set to be punitively demolished by Israeli forces. The Times of Israel reported that Ibtisam al-Abed was detained for “aggravated incitement” over a video in which she allegedly praises her son’s actions, saying she was proud of him and hoped for his release from prison.Separately, locals from the Ramallah-area village of Bilin told Ma’an that Israeli forces detained local activist Abdullah Abu Rahma at a flying checkpoint set up at the entrance to the village, while Rahma was on his way to work early Tuesday morning. 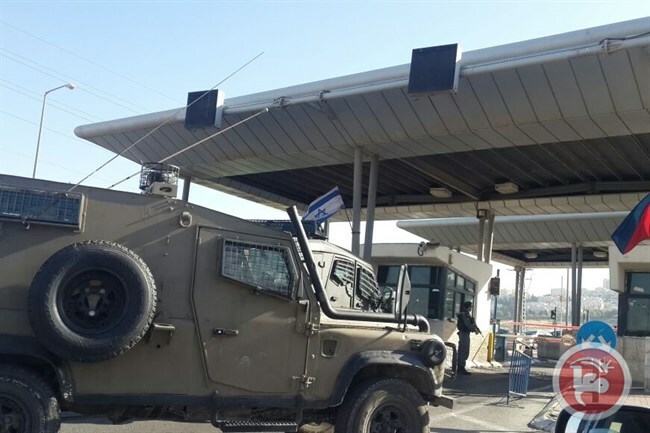 His brother, Ratib Abu Rahma, told Ma’an that Israeli troops stopped Abdullah’s private car at the checkpoint, seized the car, and took him to an unknown destination. Southern West BankIn the Bethlehem district, Israeli forces detained two Palestinians from the village of Tuqu, one from Beit Fajjar, and two from Husan, according to an Israeli army spokesperson.The spokesperson said that five Palestinians were detained from the Hebron district, identifying one detention from Beit Ummar, one from Yatta, two from Dura, and one from Khirbet Rabud.Late Monday night, locals from the Bethlehem-area town of al-Khader and the Hebron-area town of Sair reported to Ma’an that clashes broke out between Israeli forces and local Palestinian youth after Israeli forces raided the towns, firing tear gas and rubber-coated steel bullets at Palestinians who threw stones at the armed soldiers. 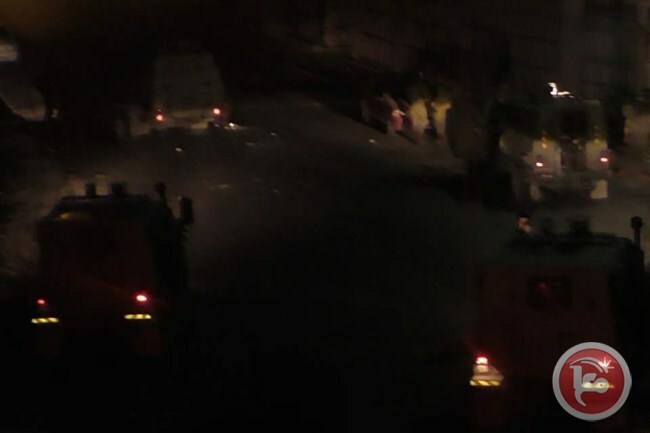 BETHLEHEM (Ma’an) — Clashes broke out on Monday night between Israeli forces and Palestinians in the Hebron-area village of Sair and the Bethlehem-area village of al-Khader, both in the southern occupied West Bank.Locals in Sair told Ma’an that Israeli forces stormed the al-Duwwara area of the town, prompting young men to throw stones at them. Israeli forces fired tear gas and rubber-coated steel bullets at the Palestinians.In al-Khader, Israeli forces stormed the cemetery and Martyr Street in the old town, located close to Israeli settler bypass road Route 60 that connects Hebron to Jerusalem.According to locals, Israeli forces showered the area in tear gas and stun grenades. Young Palestinian men threw stones at the Israeli military jeeps.No casualties were reported in the clashes, which continued until around midnight.An Israeli army spokesperson said they were looking into reports.Violent clashes between Israeli forces and Palestinians have been a daily occurrence across the occupied West Bank and East Jerusalem, ever since Israeli forces installed metal detectors and security cameras at the Al-Aqsa following a deadly shootout at the holy site on July 14.The move sparked protests from Palestinians, who said it was the latest example of Israeli authorities using Israeli-Palestinian violence as a means of furthering control over important sites in the occupied Palestinian territory and normalizing repressive measures against Palestinians.On Tuesday, Israeli authorities announced that they would be taking down the metal detectors, only to be replace by more advanced surveillance technology in the Old City of East Jerusalem.Religious leaders in Jerusalem held a meeting on Tuesday to discuss the new Israeli plan, with some telling Ma’an that despite the announced change, both religious leaders and the Palestinians “wouldn’t accept any changes to the status quo.”According to Ma’an documentation, seven Palestinians have been killed by Israelis since the metal detectors were installed, four of whom were killed during clashes with Israeli forces. The Palestinian Red Crescent released a statement on Monday saying that 1,090 Palestinians had been injured since Israeli forces began violently suppressing demonstrations and marches against the procedures at Al-Aqsa. GAZA CITY (Ma’an) — Israeli military vehicles and bulldozers crossed the border into the besieged Gaza Strip on Tuesday morning, where they leveled lands in the “buffer zone” of southern Gaza.Witnesses told Ma’an that six bulldozers under heavy military protection leveled lands in the outskirts of al-Qarara, north of the city of Khan Yunis in the southern Gaza Strip.According to the witnesses, Israeli drones hovered over the area during the incursion. No gunfire was reported.An Israeli army spokesperson said they were looking into reports.Israeli military incursions inside the besieged Gaza Strip and near the “buffer zone,” which lies on both land and sea sides of Gaza, have long been a near-daily occurrence. 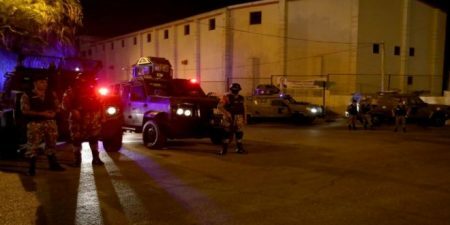 JERUSALEM (Ma’an) — A Palestinian was shot and seriously injured in the head with live fire by Israeli forces during clashes that erupted Monday evening in the town of Hizma, northeast of Jerusalem in the central occupied West Bank.The Palestinian Ministry of Health said in a statement that the Palestinian male, whose identity remained unknown, was transferred to the Palestine Medical Complex in Ramallah, where he was undergoing surgery and reported to be in critical condition.An Israeli army spokesperson said they were looking into reports.